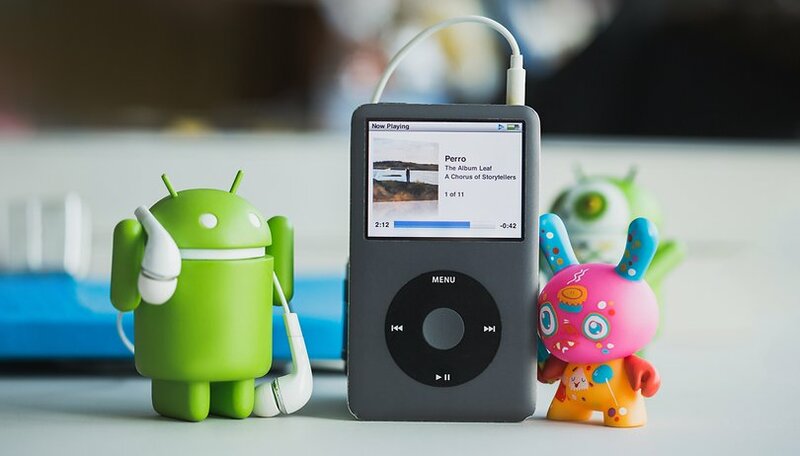 When it comes to listening to digital music today - smartphones have officially killed off the MP3 player market. The device of choice today is the smartphone - with the majority of consumers using either an iPhone or an Android smartphone. If you've gone down the Android route, chances are that you've bought into the Google Play music ecosystem and consolidated your music collection through that. But what if you end up preferring iTunes over Google Play Music? Or recently switched from an Android smartphone to an iPhone? How do you move your Google Play Music purchases to iTunes? First things first: there is no practical way to automatically sync Google Play Music with iTunes. Your Google Play Music purchases will not automatically (or magically) transfer over to iTunes. There are no real plug and play options either. So if you connect your iPhone to your computer (or Mac), your Google Play Music will not automatically sync. So let's start with the bad news: if you want to move your Google Play Music over to iTunes, you're going to have to do it manually. The good news is that it's super easy and relatively quick (depending on how much music you've purchased via Google). Before we get into the details of how to accomplish this feat, let's clear up some of the misconceptions and rumors floating around the web. You do not need to convert your music files when you download them from Google Play Music. Quite a few people say that you'll need to convert your Google Play Music from MP3 to MP4, but that's just not true. If needed, iTunes will manage all your audio conversions automatically. You do not need any third party software to record/rip your tracks and to upload them to iTunes. Editor's Note: While Step 1 is optional, I find it helpful and cleaner! 1) Create a new folder on your desktop or somewhere on your computer that you can quickly access. 2) Open Google Play Music in your browser and click on “My Music” on the left hand side. 3) Click on the top left hand menu (the three lines) and select “Music Library”. 5) Right hand click or hover over the album and click on the three dots and select “Download album”. 6) You'll be prompted to select a download location. This is when you should select the empty folder that you created. 7) Repeat steps 5 and 6 until you've downloaded all your Google Play Music. 8) Open iTunes and drag and drop your downloaded music into it. And that's it. Simple as that. You can then delete the folder with the downloaded music, as you won't need it anymore. Sadly, there is no bulk download feature for Google Play Music at the moment, which makes Step 5 very tedious. So until Google offers this functionality, you're stuck with doing it manually. If you've found an alternative or quicker way to move your Google music to iTunes, or have a cool tip, then let us know in the comments. Go to Settings in Google Play Music and scroll down until you see Download Library. Just downloaded 904 songs with the click of one button. I use android for my phone and an ipod touch for my music. This article was very useful. Thank you. Use the Google Play Music Manager (Google it!). You have the option to export your whole library or just specific songs. You're welcome. Very helpful article!! I wanted to say that after step 5, it gave me a link to download google play music manager so I went through those steps. Opened that program after it downloaded and it had me sign in with my Google account and right away asked me if I wanted to transfer my songs. It then gave me the option to transfer them to iTunes or other folders so I chose iTunes and it worked perfectly! It starts out slow but speeds up. It also doesn't duplicate any files if you already have some music sitting in iTunes. Freinds don't let friends get an iPhone. What am i missing? Or is it a typo? Why on earth would you move from Google Play Music to iTunes? Google Play works fine on my iphone. iTunes is the worse as it locks your music in. But also Google play works on the Internet, every platform, on your TV, works on many stereos, in the car, but the biggest thing with a cheap chromecast works on everything but from the cloud not my phone. Theres quite a few reasons to switch from google play music to itunes and vice versa. Many people are not bound for life to a certain OS, Phone or App. Speaking from personal experience, ive switched from an iPhone to an Android phone and back a few times. Ive bought music in both stores and when I was using my moto x style I was exclusively using google play music on my phone. BUT - if you switch to an iPhone youd have to be a fool to keep on using google play music. The reason why iOS is so good is because it all works so smoothly together. Phone usage aside - its also a preference thing - there are many people out there who just simply prefer itunes to google play. "Google Play works fine on my iphone." It does on mine as well but from a usability perspective its easier to have all your music consolidated through one "music player" rather than switching back and forth between the two. "iTunes is the worse as it locks your music in." Now what do you mean with this? Unless im misunderstanding what youre trying to say - ive never had any issues transferring any of my itunes music to any other device or platform. "But also Google play works on the Internet, every platform, on your TV, works on many stereos, in the car"
The other way round? How do I move my iTunes music to Android? Ok this makes more sense. Was the original an early April fools joke? Wanna transfer tracks and playlist across various service? Musconv will help you.Move wherever you want.Apple Music, Google Music, iTunes, Amazon Music, Youtube, Deezer, Tidal, Pandora, Groove--Name it! musconv.com can help .